To reset the root password for a Legacy Virtual Machine you will need to reboot into ‘rescue’ mode. This will require a short period of downtime. The password will be the same as the root password we originally set for your VM. If you’ve forgotten your password you should contact support to reset it. You can now invoke the actions menu by pressing Ctrl+p Ctrl+o ie. while holding down the Ctrl key, press the p key, release it and then press the o key. Ensure ‘Restart Cleanly‘ is selected and select ‘< OK >‘. 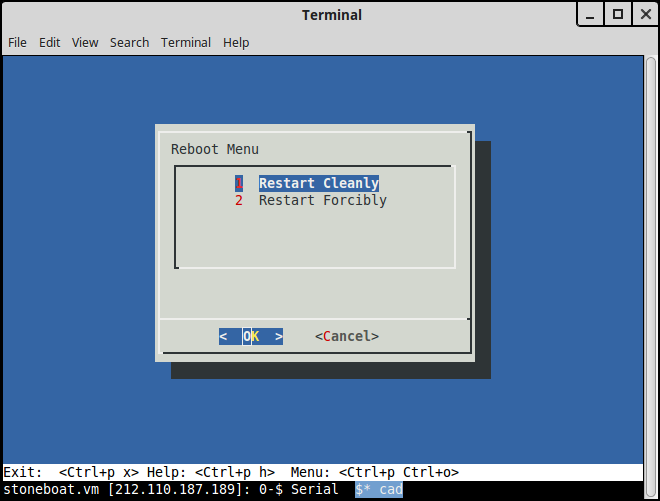 A few seconds later, a boot menu will appear offering you 3 boot modes; ‘boot’, ‘rescue’ and ‘reimage’. Please select the ‘rescue’ option within 10 seconds (or your VM will boot as normal). Note: If your server does not reboot after selecting ‘Restart Cleanly’, try a second time. 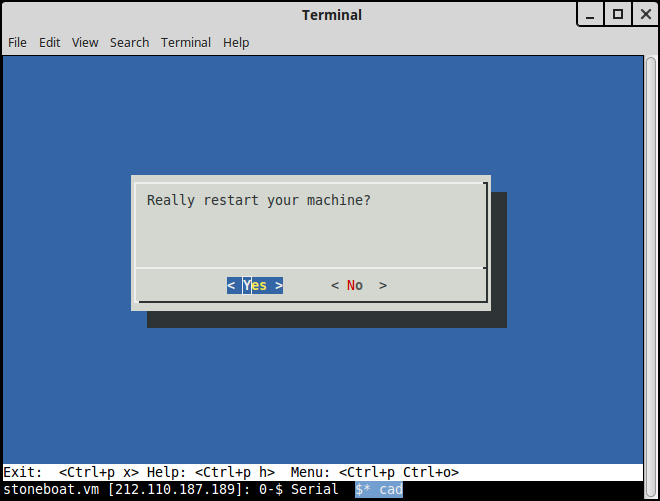 If it still does not reboot, select ‘Restart Forcibly’. and enter the new root password you want to use (please note that nothing will be shown on the screen as you type your password, and you will be asked to enter it for a second time to confirm you typed it correctly). You should receive the message ‘passwd: password updated successfully‘ when this is complete. Reboot the server by pressing Ctrl+p Ctrl+o and selecting option 1 (‘reboot’). At the boot menu select the ‘boot’ option.